Jamaica Don't Need Casinos- No No No! Jamaica don't need Casinos, what Jamaica needs to do is get back into forming get back our sugar cane. God bless us with such beautiful farm land with so much and the politician's them sell them out. where free zones? Where banana board? where is the copra's? where is the pimento? where is Air Jamaica? Where is the sugar factory? the coffee? the coco? richman prison farm? Where is all of these? God is the head of our country casino is gambling; gambling is red eye. By the sweat bro you shalt eat bread not by casino. There and then you would be burying people every second in Jamaica it is bad a ready you go bring that there man nah look work to fell his are her needs now you bring gambling to the wey them ago do nuh kill more people fi get the money fi go gamble no. What Jamaica need is to get back to our roots and start to form the land get the prisoner out to work the land as was in back in the days get back to God. we are the most God fearing people in the whole world so get back to god, do the will of god the country will change. Politician can't change it, we the people must change it. The word of god says if my people which are called by my name shall humble themselves and pray and seek my face and turn from their wicked ways then will hear from heaven and will forgive their sin and will heal their land 2: Chronicles7 verse 14 their land JAMAICA LAND WE JAMAICA LAND WILL BE HEAL BY GOD AND GOD ONLY BUT WE THE PEOPLE MUST CHANGE AND RUN BACK TO GOD AND COME OUT FROM SATAN we bound by too long let go and let God we need to take back and take our stand. The government is the people not the people for the government they need us to get where they are so people wise up look around you don't try to be American you are not be who you are Jamaican. Out of many come one people show the world that we are one people not just in sports or tessann Chin, but in the way we were grow. The government need you not you need they ok. Comments for Jamaica Don't Need Casinos- No No No! Regrettably, it’s sad to read that Jamaica is under siege by the endemic gambling addiction swooping across the globe today. And now with the current tidal surge of online gambling rippling across the etheric web, only more and more people will fall victim to this all-consuming addictive pastime. In Britain during the period April 2011 to March 2012 over £40 billion was spent on gambling machines by punters. The shocking truth on the state of UK’s gambling problem was further compounded by the fact areas in north and certain London boroughs affected by high unemployment were the ones that felt the most brunt from widespread gambling. Meanwhile, Australia in 2010, according to the Productivity Commission’s final report on gambling, over 70% of Australians took part in some form of gambling in that same year alone. And, of the 600,000 Australians that participated in “Pokies” once a week, 95, 000 of them were problem gamblers. Similarly, in the U. S, the American Statistics of National Council quoted figures that suggested 3 million of its citizens were blighted by gambling problems. Incredible as it sounds, many gamblers in America that fell within this bracket were female, many of whom found themselves trapped in the world of gambling after ruinous relationships and other contributing factors. However, all is not lost, as pioneering new researching involving the use of rats might unlock clues and, hopefully help cure gambling addiction. “Lab rats are incredibly smart,” said Catharine Winstanley, a behavioural neuroscientist whose risk assessing the clever, furry rodents, and testing them with a new drug they hope could help curb gambling addiction one day. "This is very much a first step," the neuroscientist said. "We're really happy we can see gambling-like behaviour in our rats and now we can use this task to really probe the neural and neurochemical basis for gambling disorders." I said this over a year ago on this very page. What about encouraging COTTON TO MAKE CLOTHES HERE IN JAMAICA ? 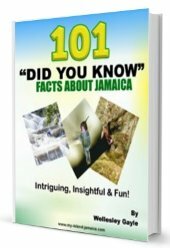 Most Jamaicans are not wearing Cotton which is far more Healthier than those foreign Material, People living in Hot Climate all over the World wear Cotton'Jamaica can EXPORT COTTON MATERIAL. 'Ask any collective Doctor they will tell you Cotton allows the body to get air, Under wear should be Cotton in this kind of weather. Growing Cane as some one else had mention, We need Ginger, More Onions, Sweet Peppers and Carrots. Pineapple & Tomato. Building Spaces for Adult Learners' Evening Classes to Educate people who had no Schooling & such. Training Centres for those who have been Unemployed for a long time. People need CUSTOMER CARE TRAINING & PEOPLE SKILLS. These will benefit the Country much more than having more of this Gambling which cause all kind of Negative Issues here no More of this. WAKE UP JAMAICA ORGANISATION AND GOOD MANAGEMENT are needed here GOD IS WATCHING YOU.